Prominent & Leading Manufacturer from New Delhi, we offer tea coffee dispenser, sandwich griller, slot toaster, deep fat fryer, shawarma machine and hot case. Backed by the team of experienced professionals, we have been able to manufacture and supply an extensive range of Tea Coffee Dispenser. This dispenser is designed and manufactured by our experts using quality tested components with the help of cutting-edge technology. Widely used in various restaurants and commercial establishments, this dispenser is available in varied specification at very nominal price. 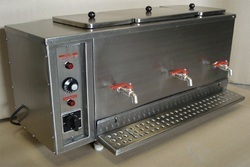 With the aid of modern machinery and technology, we have been able to manufacture, trade, and supply Sandwich Griller. 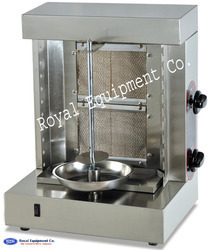 The provided range of sandwich griller is developed with the usage of best material of market and newest technology along with the market norms. In addition to this, the given assortment is applauded for its performance and long operational life. 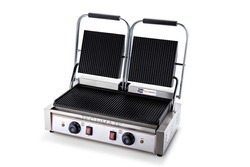 Our customers can simply benefit this sandwich griller at industry leading rates. 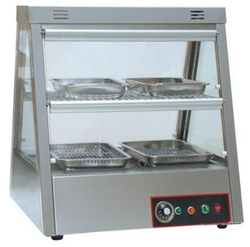 As an affluent industry, we are instrumental in offering our clients a high quality range of Hot Case Counter. This counter is designs and fabricated using world class raw material and cutting-edge technology. 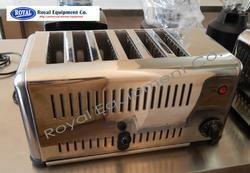 We make available this counter in various sizes as per the exact needs of customers. This hot case counter is offered at very nominal price to the clients.